Faith. It’s a little word with a LOT of meaning. I can’t tell you how many times I’ve heard people say that something didn’t come to pass because they didn’t have enough faith. I’ve struggled with that very thing myself more times than I’d like to admit, and there have been instances where it was tempting to give up because I was convinced I didn’t have enough faith to make a difference. But thankfully, that’s not how it works. Sometimes faith simply means trusting God to carry us through and knowing He will never forsake us. “Footprints in the Sand” is one of my favorite poems. I love the visualization of walking through life with God by my side. I also appreciate the reminder that those times it looks like it’s just me struggling, it’s really God carrying me in His strong arms. Faith isn’t trusting that God will remove all obstacles in our path. Faith isn’t about saving up enough faith through the easy times so that we can cash it all in when things get rough. Faith is believing that, when we inevitably fall on our faces in the sand, God won’t leave us there to be swept away when the tide comes in. Instead, He’ll scoop us up and carry us through whatever we’re struggling against. That’s right: We still have to wade through that experience in our live, but praise God we don’t have to do it alone! A couple of weeks ago, our pastor spoke on faith, and he said something that stuck with me. Every time we face a difficult decision, go through a loss, or struggle through a particularly stressful season in our lives, we have a choice to make. We can either trust and believe that God will gently lift us from the sand, or we can believe that He’ll leave us to be swept away by the incoming tide. Guess what? It’s a step of faith either way. We can have faith that God will help us no matter what we’re going through, or we can have faith that He’s going to leave us to fend for ourselves. 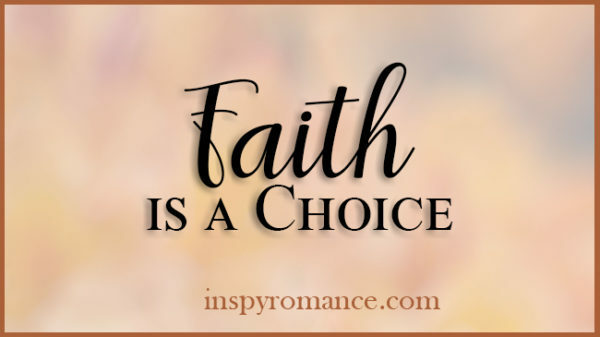 It’s not a matter of having enough faith, it’s a matter of choosing to have faith in God and His love for us. 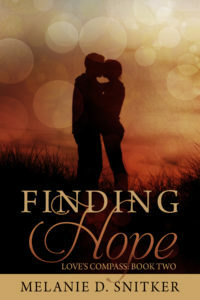 In my book, Finding Hope, Lexi faces a difficult and uncertain future. 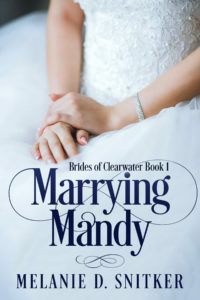 She’s always been independent, determined to handle everything herself, until a cancer diagnosis throws everything into chaos. Not only does she have to place her life in the hands of doctors, but she has to rely on friends and family to help her. Most importantly, she has to place her faith in God, and pray that He will carry her through something she’d never be able to make it through on her own. Cancer. That one word has rocked Lexi Chandler’s life to the core. Her focus has always been to help others. She loves being a nurse and enjoys spending time with her family. Things had been going according to plan. Now she’s struggling to pick up the pieces and make sense of the changes in her life. Lance Davenport has cared for Lexi since they were kids. Between their age difference and bad timing, he’s turned burying his feelings into an art. Now, watching Lexi battle with cancer has made him realize just how much he’s missed. He doesn’t know what their future holds, but he’s determined to not waste another minute. How wonderful that you work at a faith-based school! It’s great that you explore the concept of faith with your kids and your students. I hope you have a blessed day! Hi Melanie! Thanks for your thought provoking blog. Faith, hope, love is what keeps me going. Delightful books. Have them both,. Best wishes. Thank you, Renate! Have a wonderful day! Hi Melanie, Thanks for sharing your thought-provoking post that really resonates with me today. I had a rough day with my teen with special needs who started at a new school this week. When everything seemed hopeless, and for the first time ever I seriously contemplated the idea of homeschooling if we couldn’t resolve the issues, all we can do is have faith and trust that He is in control and has a better plan. We ended the day with a lot less stress and a new and improved timetable. A big relief for all of us. I’m so glad you got your teen in a new school and you are happy with the improved timetable. I hope all goes well as your kiddo gets used to the changes and that you all continue to see less stress from here on. This is such an encouraging, uplifting post! While I read it, I kept thinking – faith only needs to be as small as a mustard seed, it doesn’t have to be bigger. And then I looked back at all the times I didn’t feel like my faith was even that big. The times I felt like all I could do was cling, cling to Jesus. And I have always found that He never fails! Wonderful, inspiring post!! Thank you! Great post, Melanie! And so true about our faith in God. It can change our perspective of the things around us. this is a good post. the phrase “I don’t have enough faith” is often used as a crutch I think. when we have a relationship with Jesus and keep it going daily, our faith in Him is strong. Sure we fall and fail at times, we are human with human emotions and feelings. But He is so much stronger. As I heard in a recent sermon, when we have a saving relationship with Him, and we struggle with something here on earth (cancer, etc.) we are at the same time growing closer to God. And this was interesting in Isiah 43:6 it mentions the word grief which in the Greek means intense. so God is not talking about the everyday mood swings, etc. this was really interesting to me and gave me hope. I think you’re right, Lori. Thanks for sharing what you heard in a recent sermon. Very interesting! The hardest part for all of us going through a difficult time is not knowing when things will get easier or what the outcome is. It helps when we know that God DOES and He’s preparing us for it, whether it’s good or bad. I take a lot of comfort in that! Melanie, what a delightful and insightful post! And I was nodding so much in agreement to what you said that I probably looked like a bobble-head doll…lol! Love this post, it’s one to print out and put somewhere to remind myself from time to time! Faith and Trust go hand in hand, kind of like peanut butter & jelly. Thanks for sharing. I never thought about it taking faith to believe in either outcome.